The Adelante Movement: Self Made! A book about you!!! Self Made! A book about you!!! Well, as we all know, when it comes down to actually going for it, when we are finally ready to embark on doing big things, they don’t come easily and we become afraid. Guess what? I, too, get scared. But in spite of my fear, I completed a goal that my heart really wanted, something that was inspired by four incredible years on the road meeting all of you. 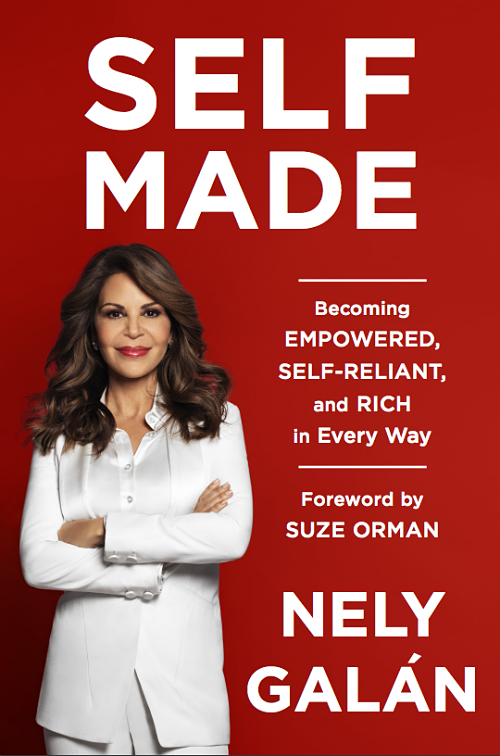 I’m so proud to present to you all my book, SELF MADE: Empowered, Self-Reliant, and Rich in Every Way (Random House, April 26, 2016). Everything I have ever spoken to you about and much more is in the book. Here’s the best part: so many of you are featured in the book—SURPRISE!!! And there will be even more of you on the website. Since it all began with you, enter via the form below to receive a free copy of the book, available to the first 1500 people who enter, while supplies last. I'd love to hear your feedback on the book, which you can post on social media. In order to write this book, I had to own the reality that I AM SELF MADE; and in order to really achieve my goal, I want you to own it and declare it, too. This is not about grandiosity; it is about the fact that we can all meet our goals and succeed, on our own terms. So starting right now, I am going to remind you in the book, on the website, and through our upcoming app that you can do it too. I am also going to show you how to do it, and where to go to get the money, training, and resources to become self-made. We will also embark on a SELF MADE TOUR, presented by The Adelante Movement and our great partner, The Coca-Cola Company. In March alone, I am off to Austin, Dallas and New York. So please come and see us all over the country. I want to leave you with this thought: what have you been wanting to complete, what is your secret dream? Are you afraid? So was I, and I still am. I say, let's do it anyway, together.